sis irene. ! i cant really believe that shinhye JOINED THE INSTA WORLD. Last Edit: 4 years 5 months ago by elankham. OUR DEAREST PARK SHIN HYE NOW CONFIRMED THAT SHE JOINED THE INSTAGRAM WORLD ! ! ! ! NOW WE WILL BE EXPECTING MORE UPDATES ON HER BY INSTA ! BY HAVING HER NEWEST AND THE FIRST SELFIEEEEE ON HER ACCOUNT! Let's all support her and follow Park Shin Hye! hmm still thinking who might have influenced her to join Instagram... hope they follow one another. 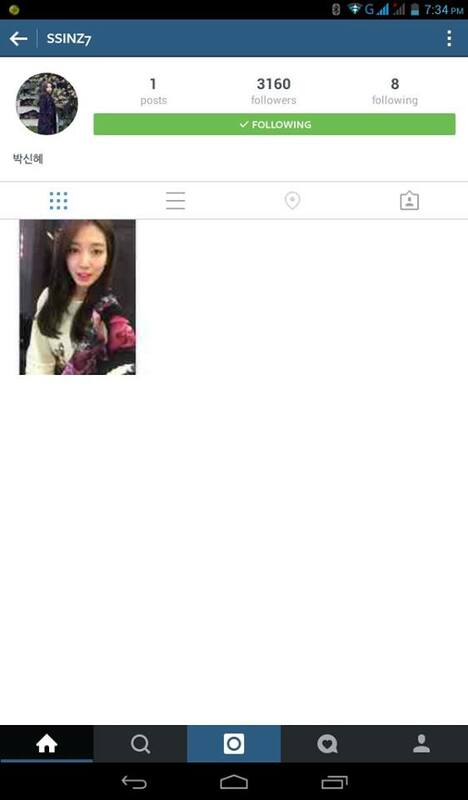 Actress Park Shin Hye is now on instagram. 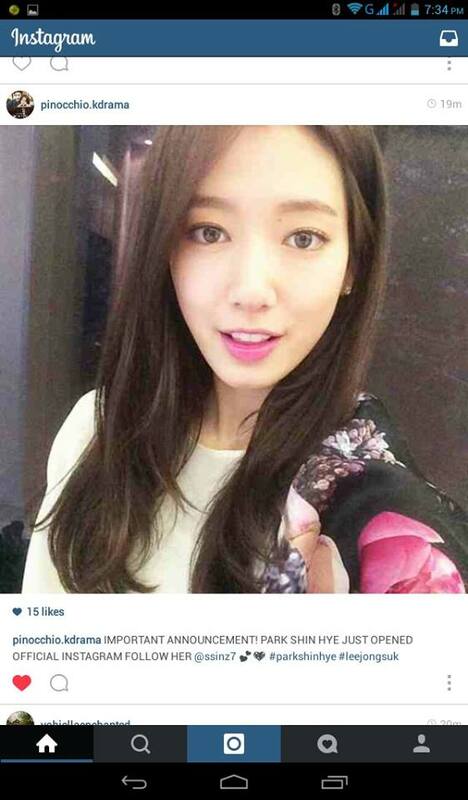 Park Shin Hye joins instagram! Seems like Park Shin Hye wants to interact more with fans and created her instagram account. Shin Hye links her new account to her twitter and let everyone know that she's now can be followed. 3 hrs have past and she already had 14,854 followers and her first post has 6,487 likes with 1,643 comments! She's really welcome on IG! Actress Park Shin Hye hypes up her fans as she is now on Instagram! Park Shin Hye made her very first post on November 14th with a solo selca, captioning it “#SelcaInstagram #StartingInstagram #Thisisinteresting Nice to meet youu~~“. The photo was taken in the dressing room, where the star shows her confidence by taking a selca after she had her makeup done and readies herself in a beautiful floral outfit. With her joining Instagram, fans have expressed their excitement through the comment section, mostly praising her beauty, giving her a warm welcome and showing anticipation for her future updates. The actress is currently busy with her ongoing SBS drama Pinocchio, where she is paired up with Lee Jong Suk, which has just aired its first broadcast on November 12th. The drama had informed viewers with a story background and released still cuts showing the sweet interactions between the two main leads. Park Shin Hye herself also had the honor to be the first Korean model for international brand Visa. More than 34,000 people have followed Park Shin Hye (@ssinz7) already! Last Edit: 4 years 5 months ago by nu2me. Let us follow Park Shin Hye in Instagram ! And her first photo is definitely a hit!